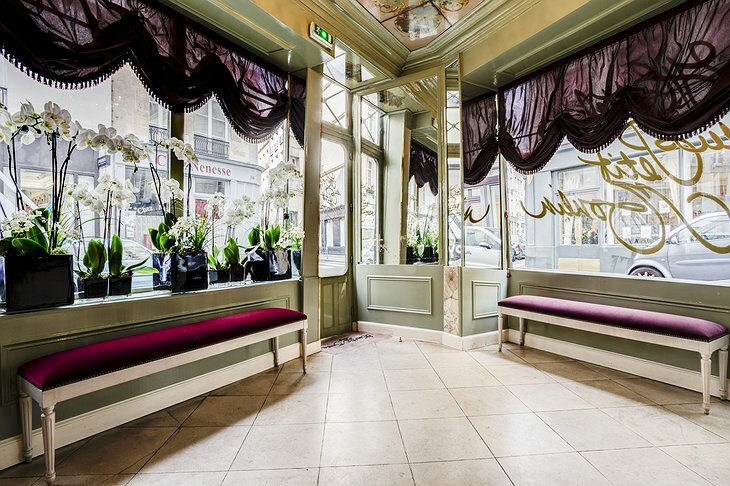 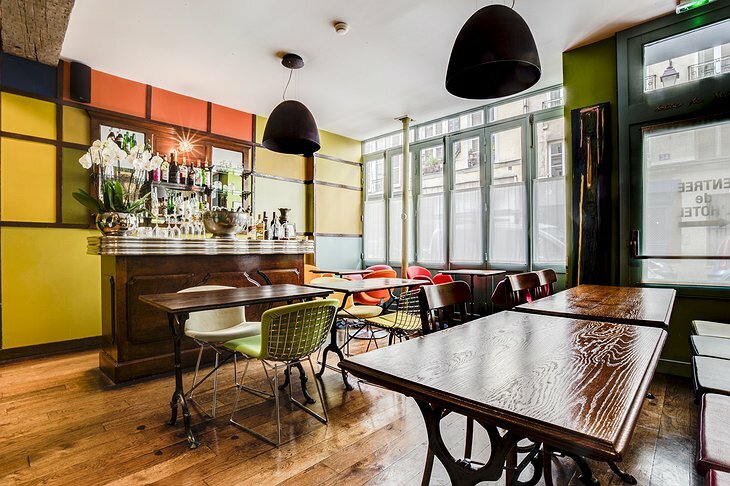 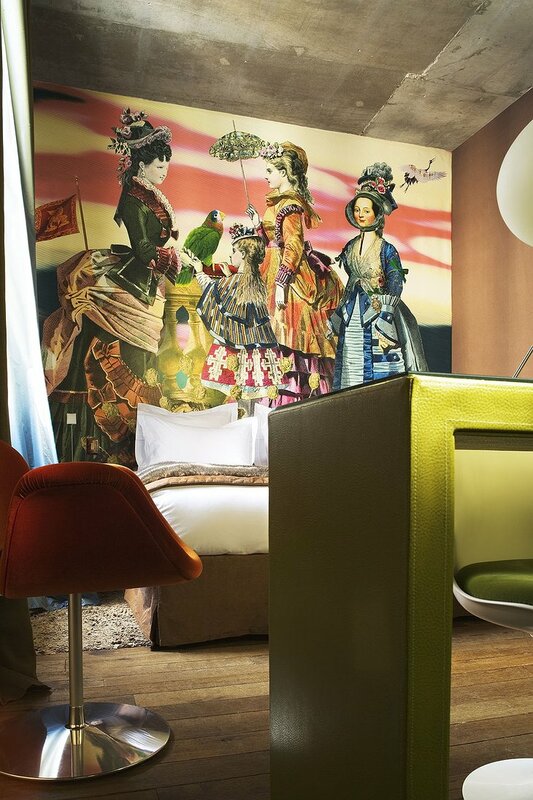 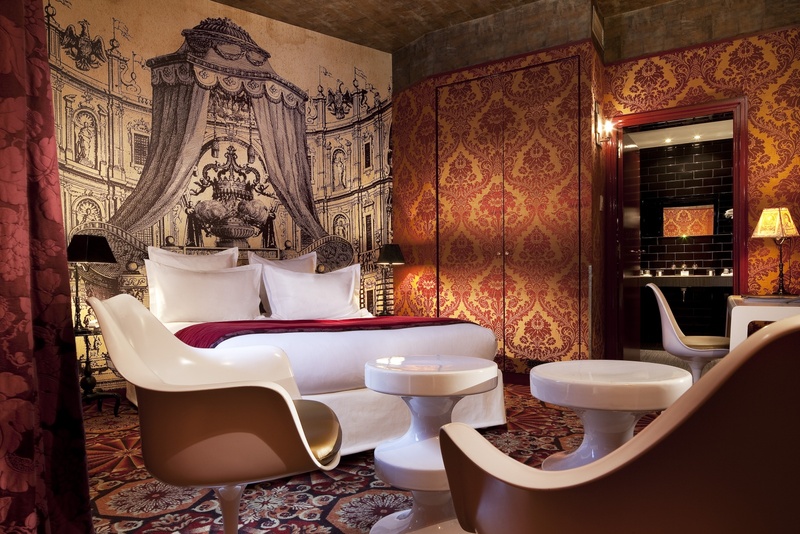 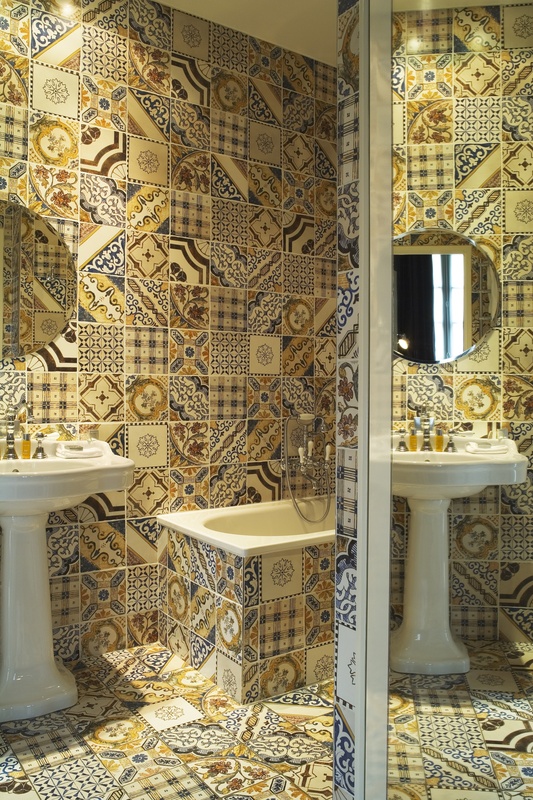 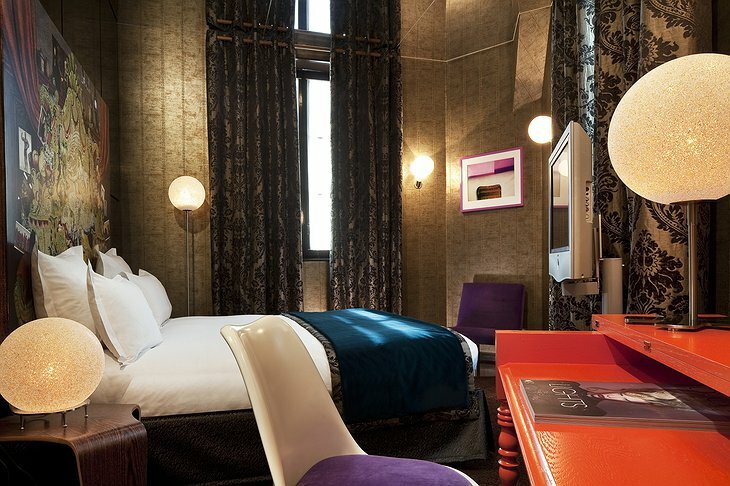 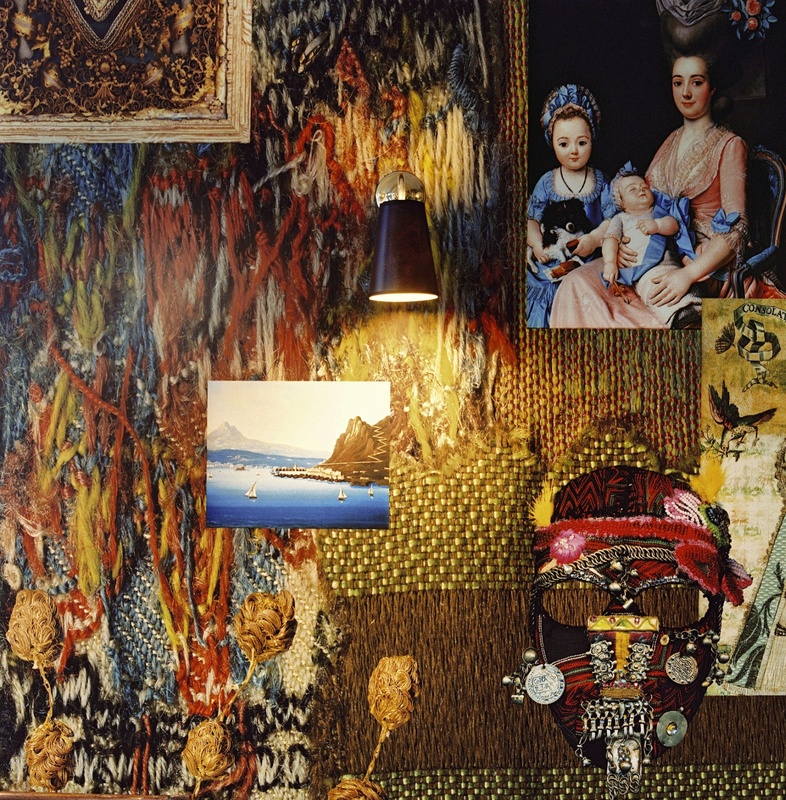 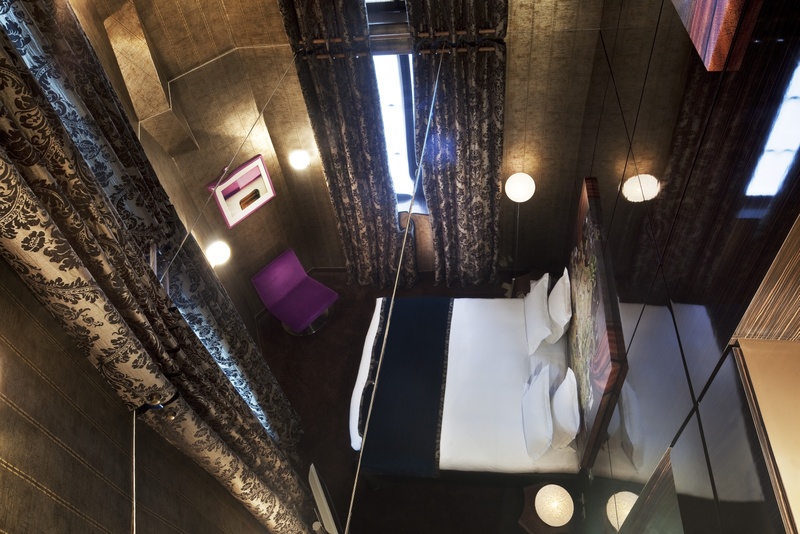 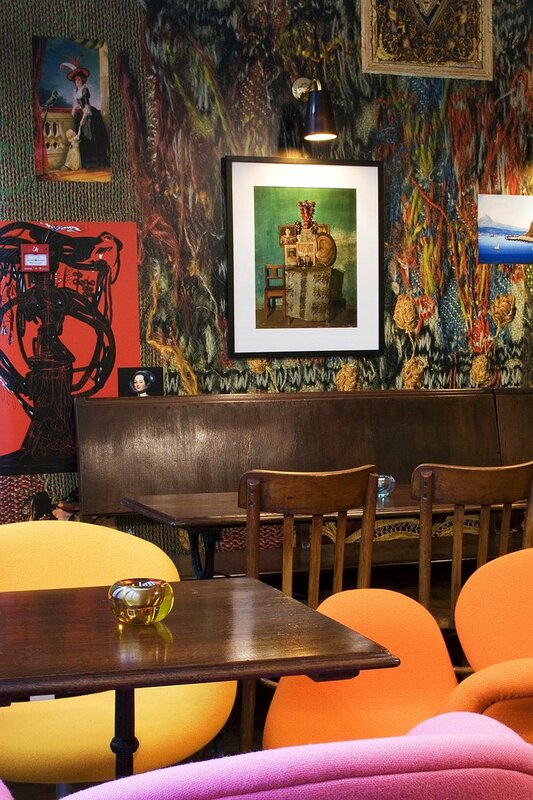 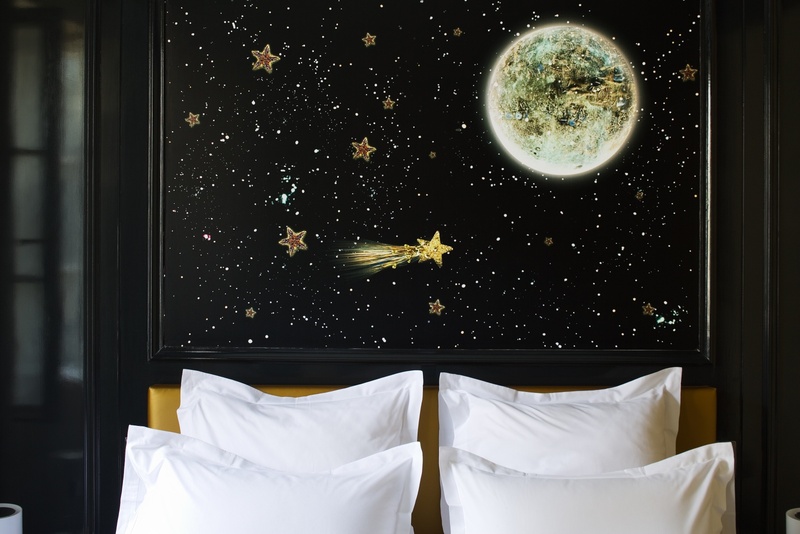 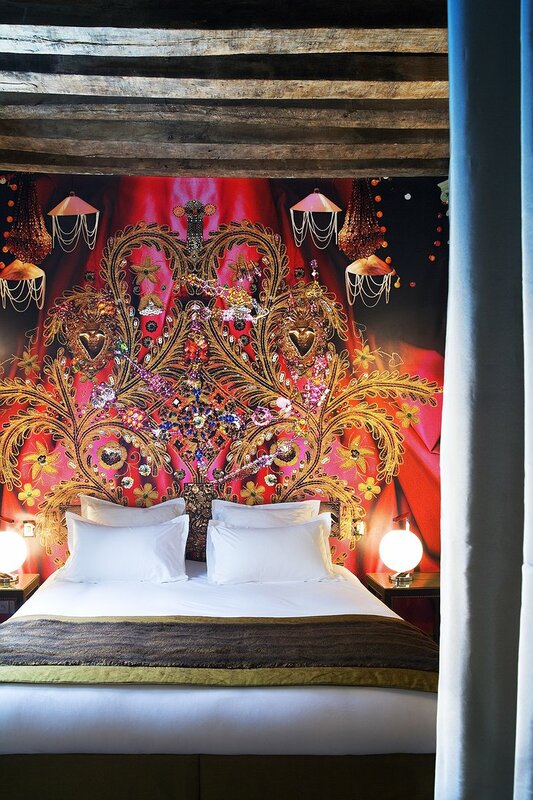 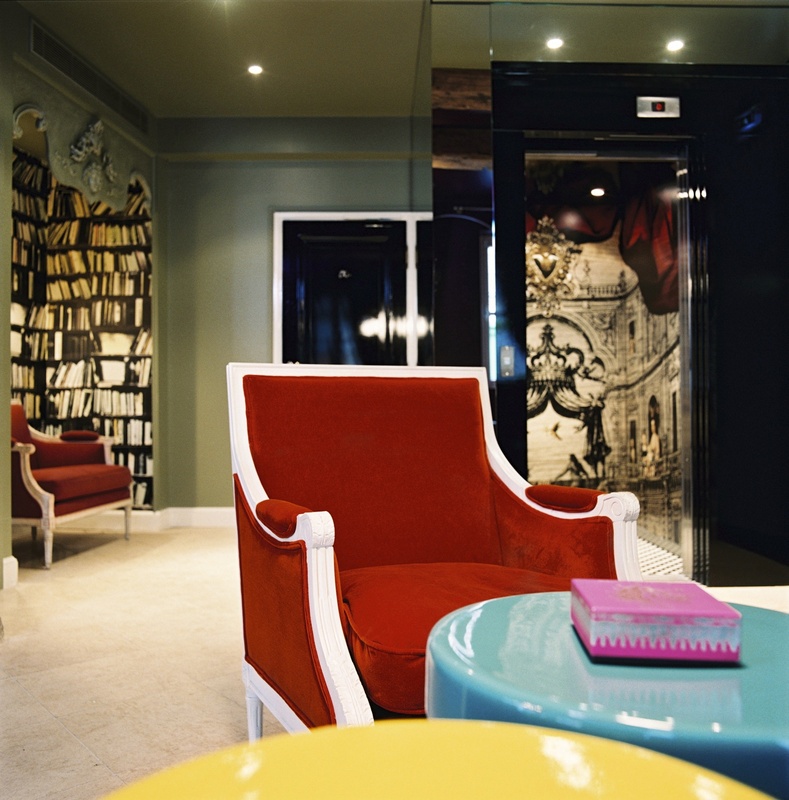 Located in Paris’ Marais District in the third arrondissement, the Petit Moulin is a four-star boutique hotel lavishly decorated by famed French designer, Christian Lacroix. 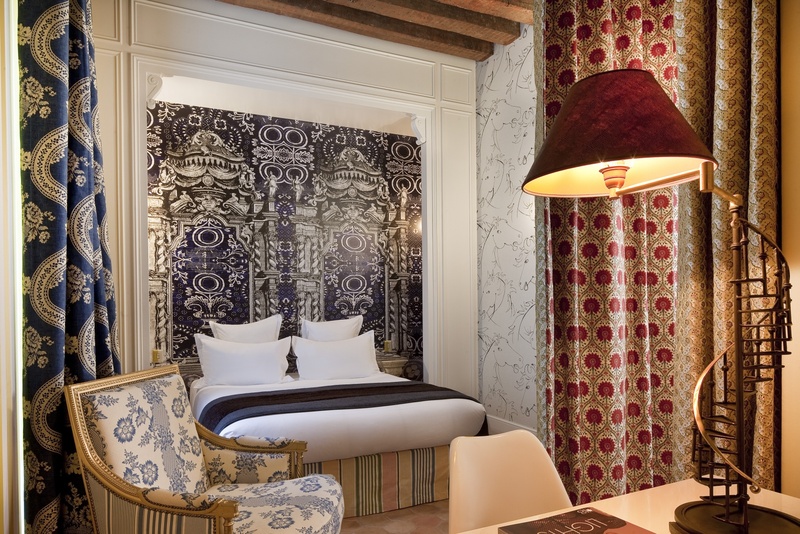 The hotel was once even used as the King’s residence in the late 15th century. 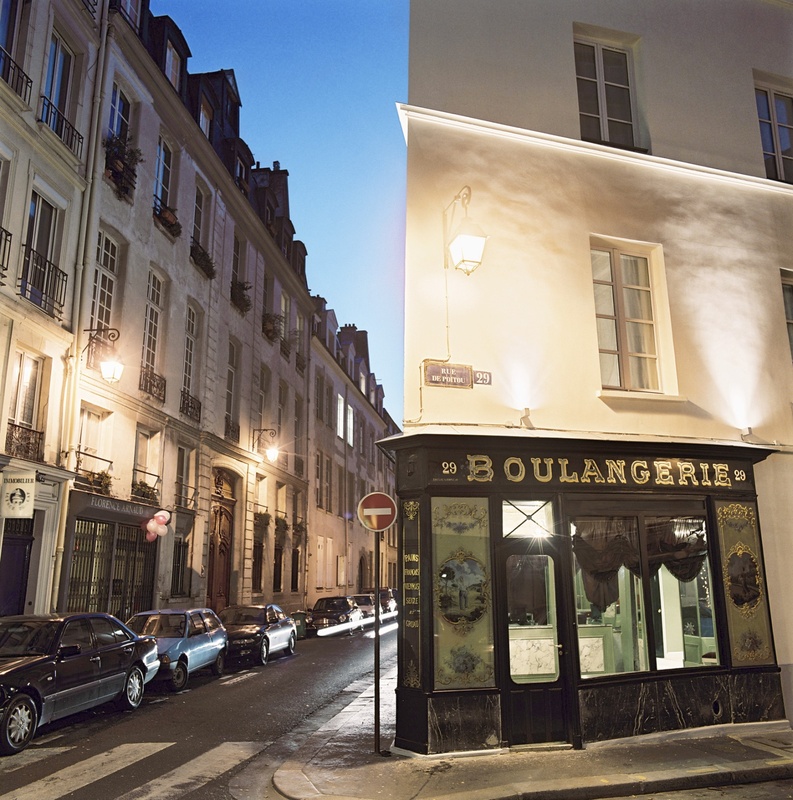 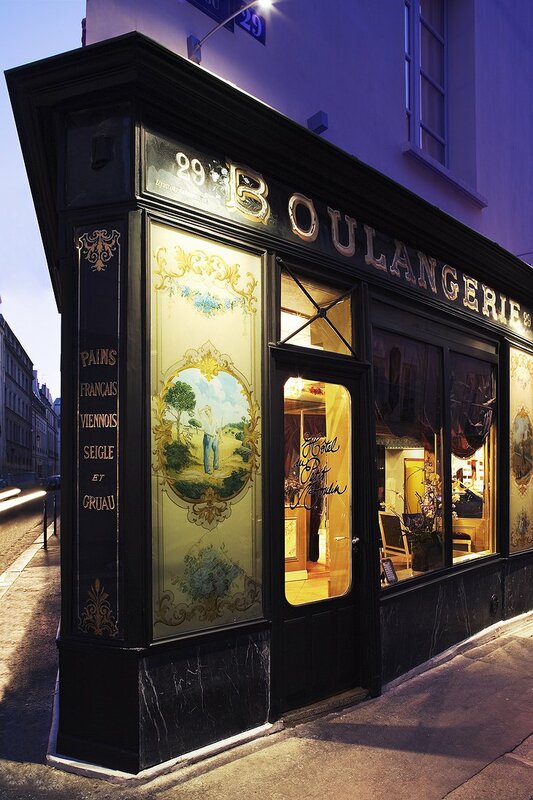 Later, the ground floor of the former residence was turned into a bakery; the hotel still carries its original “Boulangerie” shop front so don’t be confused upon arrival - you’re in the right place! Guests can stay in one of 16 rooms, each decorated in a particular style and color scheme. 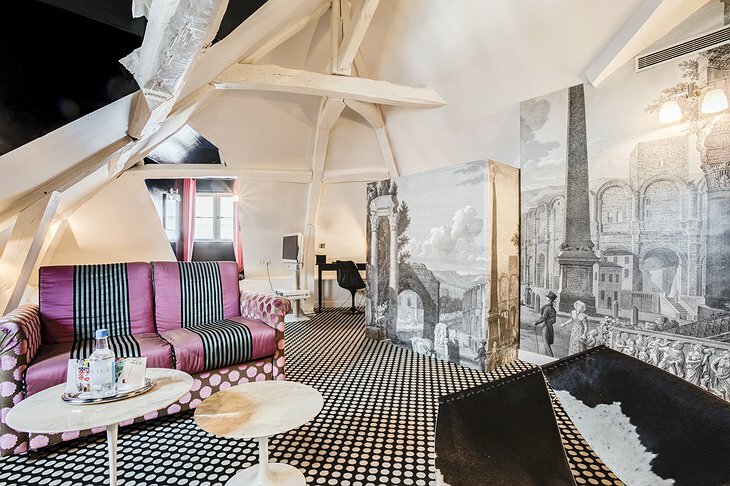 Modern and stylish with bold prints and designs, the rooms offer a unique feel. 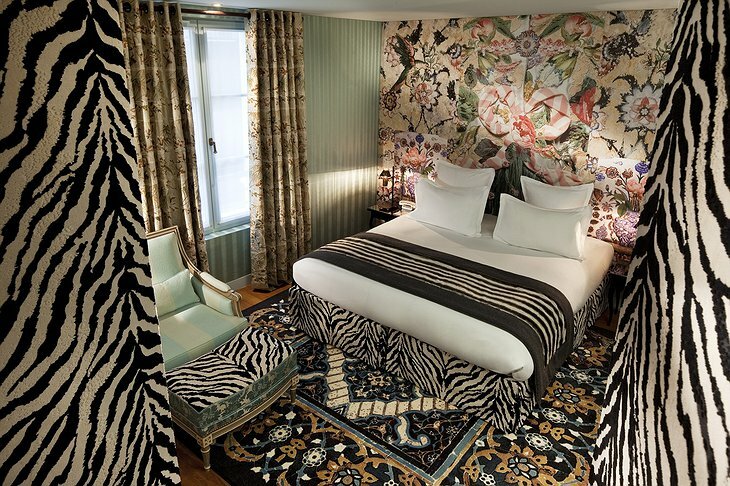 According to the designer, the goal was to create a hotel to mimic a “real life doll house,” and with every little detail, including Hermès products in the bathrooms, it seems the designer succeeded. The area offers plenty for guests to explore; from the Picasso and Carnavalet museums, to the Opera Bastille and Notre-Dame. 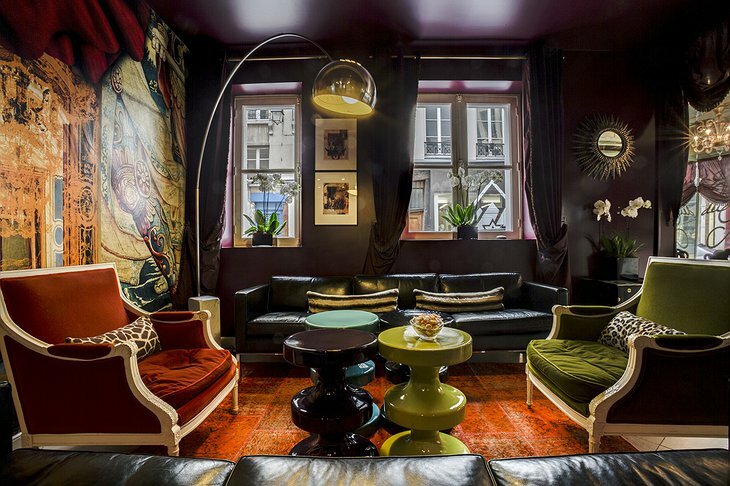 Trendy fashion boutiques, restaurants and cafes line the streets surround the hotel with an adventure never more than a short walk away. The hotel is also conveniently located by two Metro stations and the famous Seine River is nearby too.